Do you constantly feel sluggish and exhausted? Is it a struggle to get out of bed every morning because no matter how much sleep you get, you just don’t feel rested? Or are you finding yourself passing up on outings, activities, or get togethers because you simply don’t have the energy? 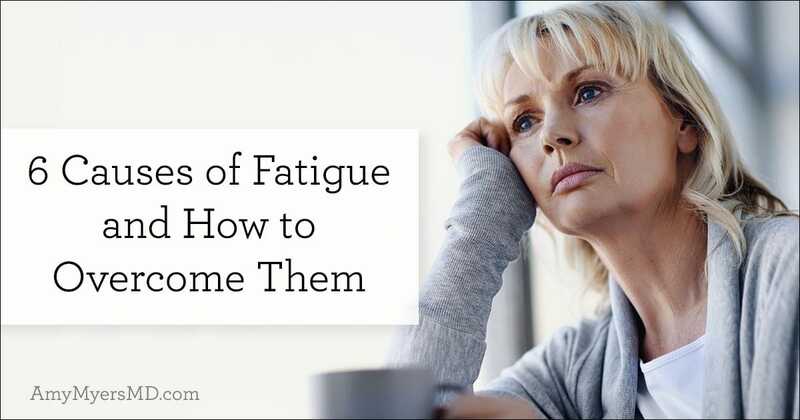 While it’s normal to feel tired every now and then, a constant state of fatigue can hold you back from living a full and vibrant life, and is typically a sign of an underlying health problem. Fortunately, by uncovering the root cause of your fatigue, you can overcome it with simple lifestyle changes and get your energy back. 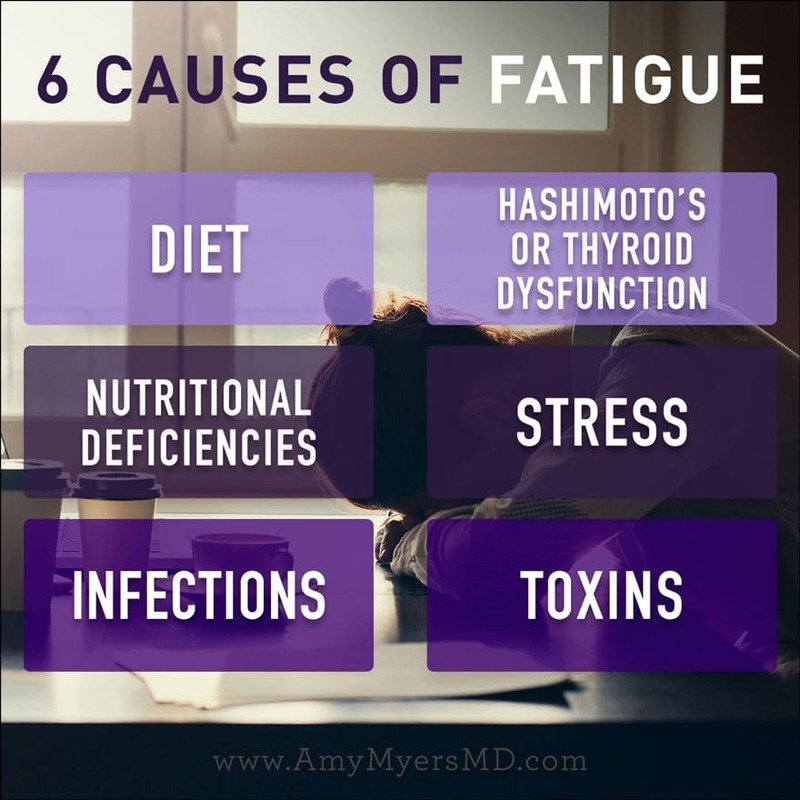 Let’s look at the six most common root causes of fatigue and how to overcome them so you can get back to your vibrant, energetic self! A balanced diet of real, whole foods plays a huge role in maintaining proper energy levels. The most common dietary issues that cause fatigue are food sensitivities, histamine reactions, and caffeine and sugar crashes. Feeling sluggish and tired is very common after eating inflammatory foods because of the attack your immune system mounts on them and because the damage they cause to your gut decreases your ability to absorb the energy-providing nutrients from your food. Gluten and dairy are the two most common culprits and are the first two foods I recommend that all of my patients eliminate. Virtually all of them report improved energy (and sleep!) after removing them from their diet. 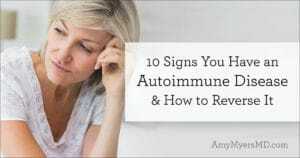 In a similar vein to food sensitivities, histamine intolerance, which is when your body has a reaction to histamine-containing foods, also frequently causes fatigue. Finally, you may think that morning cup of coffee or afternoon sweet treat are combatting your fatigue by giving you a nice boost of energy. 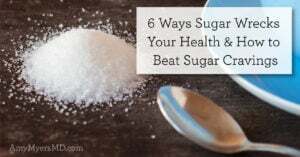 However, caffeine and sugar only give you a temporary surge of energy, burning through your energy stores quickly, before leaving you feeling even more drained. To optimize your diet and identify the foods that are triggering your fatigue, I recommend completing an elimination diet where you remove the most common inflammatory foods and then reintroduce them one at a time to determine which ones you are sensitive to. Iron-deficiency and B12-deficiency are fairly common causes of fatigue. Iron is necessary in order to produce hemoglobin, a protein that delivers oxygen to your cells. If your cells do not receive enough oxygen, your body has to work significantly harder to function properly, which can leave you feeling exhausted. Vitamin B12 is a cofactor in your energy pathways, meaning that if you don’t produce enough of it, your body will have trouble producing enough energy for daily functions. Furthermore, if you have one or more MTHFR mutation (which 50% of the population does), your ability to convert B12 to its active form is reduced. You can combat these nutritional deficiencies with a diet high in quality animal protein and colorful vegetables. I also recommend adding in iron or B12 supplements. And if you have one or more MTHFR mutation, I also recommend a Methylation Support supplement. Gut infections such as Candida, parasites, and SIBO can all be underlying causes of fatigue. Other systemic infections, including reactivated Epstein-Barr or Lyme disease, can suppress the immune system and interfere with energy levels. If you have or suspect that you have one of these infections, you should treat them as soon as possible. Your thyroid powers every cell in your body through the hormones it produces, and these hormones power all of your metabolic processes and play a huge role in your energy levels, body temperature, and metabolism. So, as you can imagine,if you are low in these all-important thyroid hormones, you’ll experience fatigue and low energy. The most common form of thyroid disease is Hashimoto’s, an autoimmune condition where your immune system attacks your thyroid, causing it to underproduce its hormones. Unfortunately Hashimoto’s is often missed by conventional medicine doctors, even when they test your thyroid levels! In fact, it’s estimated that 60% of people with a thyroid problem are undiagnosed! 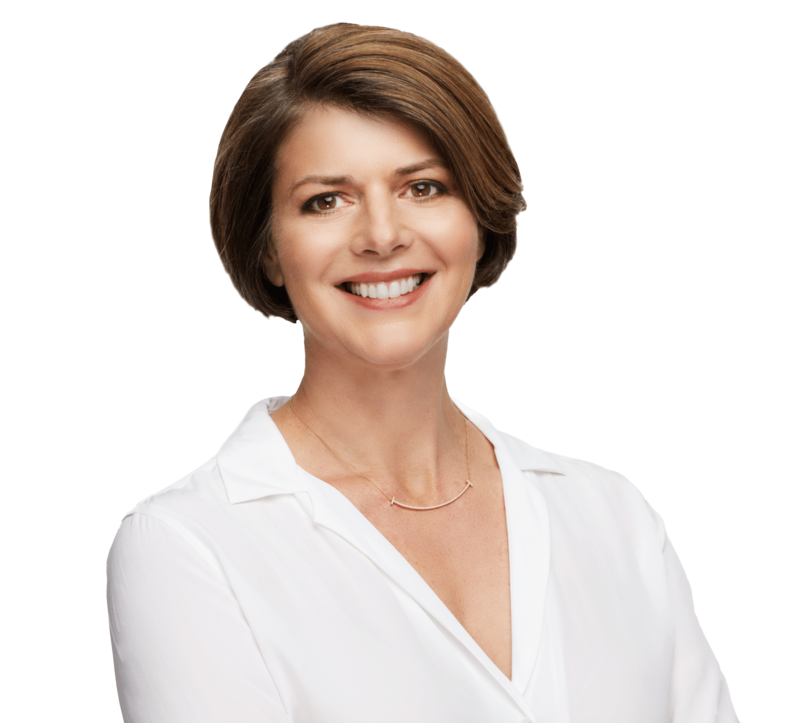 If you know or suspect Hashimoto’s may be causing your fatigue, check out the 4 Secrets to Beat Hashimoto’s Symptoms that Your Doctor Will Never Tell You. Let’s face it, we live in a stressful world. We work long hours, juggle many competing obligations, and often have to-do lists a mile long and these habits affect us emotionally, mentally, and physically. In stressful situations, your body releases cortisol and a cascade of other hormones in order to help you overcome the stressor. However, if you experience chronic stress, as we so often do, you can deplete your stores of these hormones, putting you in a state of adrenal fatigue. And a side effect of adrenal fatigue, is actual physical fatigue. To combat the effects of stress and adrenal fatigue I recommend practicing daily stress relief techniques, whether it’s meditation, yoga, or simply going on a walk or taking a relaxing bath. I also recommend taking an adrenal support supplement to relieve your symptoms while you restore healthy adrenal function. 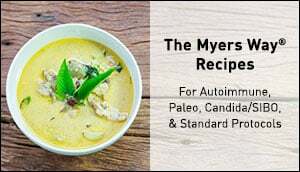 The Myers Way® Adrenal Support contains a blend of adaptogenic herbs that decrease stress hormones when they’re high and increase them when they are low. Having a high toxic burden is a strain on your body period, which can cause fatigue. And, what you might not realize is that low-level chronic exposure to toxins is typically a far more common and damaging problem than one big exposure. Filter your air with a HEPA air filter, this will reduce your exposure to mercury and other toxins found in the air. Filter your water, including the water you drink and the water you shower and bathe with, remember your skin is your largest organ and it absorbs many of the chemicals it comes into contact with. I use Aquasana filters in my home and if you use code DRMYERS you will save up to 50% on your order. Buy clean food, eat organic whenever possible. It can be expensive, so when you can only buy some things organic, prioritize buying organic meats. Animals are at the top of the food chain, and if they’re consuming pesticides in their feed, you are too, but in a magnified dose. 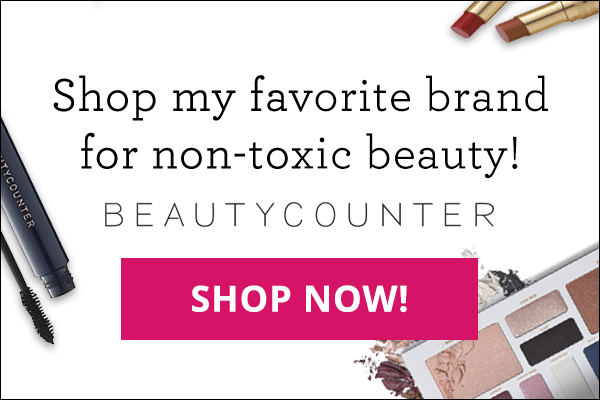 Buy clean body products, you can check out this article for tips on choosing toxin-free body products, or you can make your own with my DIY Toxin-Free Home & Body Recipe DVD and eBook. If constant fatigue is holding you back, know that you are not alone, and that by addressing its underlying causes, you have the power to reverse your fatigue and start feeling like yourself again!